Geneva (AFP) - A conference will be held this month in Geneva to examine respect for international humanitarian law in the occupied Palestinian territories, Switzerland announced Thursday. Israel and the United States are however not expected to attend the December 17 conference devoted to the Fourth Geneva Convention, which defines humanitarian protections for civilians in a war zone. The conference, long in the works, comes after a senior Palestinian official died in a confrontation with Israeli troops, adding to tensions that have threatened to boil over into another round of violence in the occupied territories. 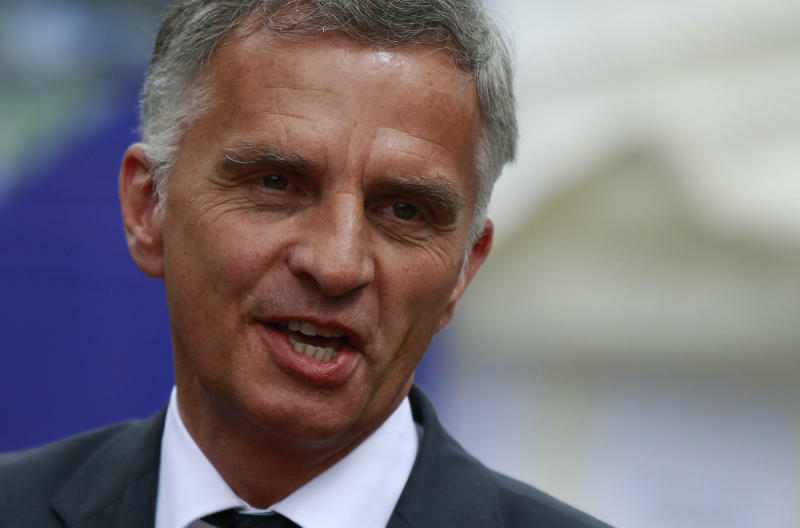 Despite an expected boycott from Israel and the United States, Swiss President Didier Burkhalter told local media he expected "very large participation" in the conference and that consultations had been ongoing for weeks. "Our objective is to advance the cause of international humanitarian law," Burkhalter said. "Even if Israel and the United States boycott the meeting, the international community must speak on the issue. There is no denigration of Israel planned" from Switzerland, he said. In calling the meeting, Switzerland is responding to a recommendation from the UN General Assembly at the request of Palestinian authorities. The assembly passed a resolution in 2009 asking Switzerland to lead consultations on holding such a conference. The consultations had been suspended since 2011 before being re-launched in July and a "trans-regional critical mass of state parties have expressed their support" for the conference to be held, the Swiss foreign ministry said. Permanent representatives to the UN in Geneva are expected to attend the conference.